Reading various reports including number of flight hours of the pilots I always wonder how it relates to years of service. In most professions, people work 40 hours a week, which gives around 1900 hours a year (assuming 4-5 weeks vacation as is usual in Europe). But pilots seem to have much fewer flight hours. I even read that in certain military operation the norm was 750 hours in a year. But that was difficult military operation and I haven't seen any number for common airline operations. So how many flight hours is usual for full-time airline pilot to log in a year? And what does he do in the rest of his duty time? Or does he have less duty time than the usual 40 hours a week? Flight hours are limited to 30 hours in 7 days, 100 hours in a month and 1000 in a year. Scheduling rules also say I need at least 1 day off a week, so 6 day trips are the max for me (121 US domestic scheduled). Let's look at a typical trip, which at my company tended to be a 4 day trip. You want good productive trips, but you can't always get them. On a 4 day trip let's say I have 6 hours of flight scheduled each day, or 24 hours scheduled that week. I am getting paid the better of 24 hours or the actual flight time. Now let's look at my duty day. For a 6 hour day with 4 legs it was not unheard of to have a 12 hour duty day. So now for a 4 day trip, I'm "at work" 48 hours and being paid for half of that. Now consider that I'm not going home every night and my trip starts at 6 am on Friday and ends at midnight Monday night -- that totals to 90 hours away from home. How does this compare to a 40 hour work week in an office? In that case you are on duty 40 hours, getting paid 40 hours (or salary) and if you have a 1 hour commute one way, you are spending 50 hours away from home. Back to the flight schedule. A given month will have trips less productive than 24 hours and although you can probably build a 96 hour month if you tried, the average line of flying is typically going to be 75 hours of flying. You can ballpark that will equate to 150 duty hours and 300 hours away from home for the month. Extrapolate that to a year, and you have 900 flight hours, 1800 duty hours and 3600 hours away from home. I would say this represents the average US domestic 121 pilot. Some do more, some do less, but this is pretty typical. Note, that all of these activities require we are at the airport, in the secure area and we are not being paid. The pay clock starts (roughly) when the airplane is buttoned up and the parking brake is released and ends when the parking brake is set and main cabin door opened. That gives you a rough idea of what the airlines would like every pilot to fly in order to best utilize them. The actual number of hours flown however depends on a lot of things, including the lines that the pilots bid on and whether or not they pick up any extra trips. While this appears less than a "typical" job, keep in mind, this limit only applies to flight time (which oddly enough includes time taxiing the airplane). The crew will spend additional time before the trip, between each leg, and at the end of the trip taking care of things like pre-flights and post-flights, getting clearances, doing paperwork, etc. At a large major airline, 600-800 hours per year is a common number. 1) Many pilots spend part of the year on "Standby" or "Reserve". 2) Many pilots get 6-7 weeks (or more) vacation. 3) Airline pilots often have to position or "Deadhead" in order to complete their flights. 4) Some airlines do not count longhaul crew rest as loggable hours. 5) Some airlines give hourly credit towards the monthly total for Simulator training or annual recurrent training. Not the answer you're looking for? 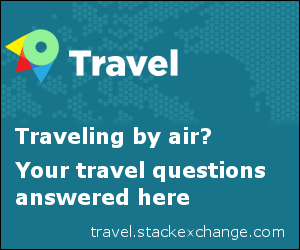 Browse other questions tagged airline-operations airline-pilot or ask your own question. What work besides flying planes does an airline pilot regularly do? Are the total hours of an aircraft based on flight hours or operational hours? Is there a limit to how many hours a person can fly per month? How common is it for airlines to fly unauthorised flight paths? Is there any airline company owner who also works as a pilot? What do airlines do with planes at the end of a multi-stop route? What is the ratio of actual flight time to simulator time on type for airline pilot training? Who logs the flight hours for airline pilots?